The MS Symphonie is a 2 deck sailing vessel that sails the Rhine River and the Danube River. lounge-bar with a dance floor, bar, dining room, large sundeck with deckchairs, library and gift shop. 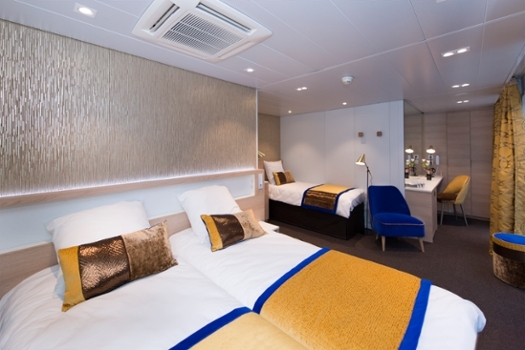 The Symphonie is a friendly and comfortable ship with facilities that include a restaurant, lounge bar and dance floor, small library, gift shop and large sundeck. Passengers on the Symphonie tend to be 45+ and Europeans & Americans. 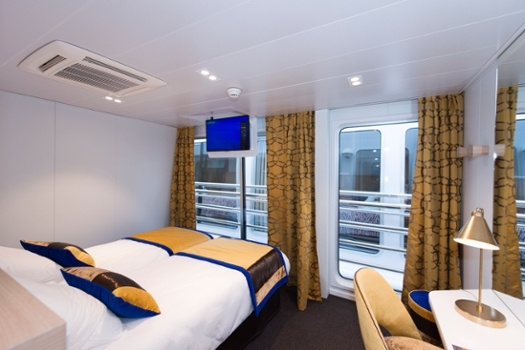 Cabins: All cabins are located above water level and offer panoramic views of the scenery. 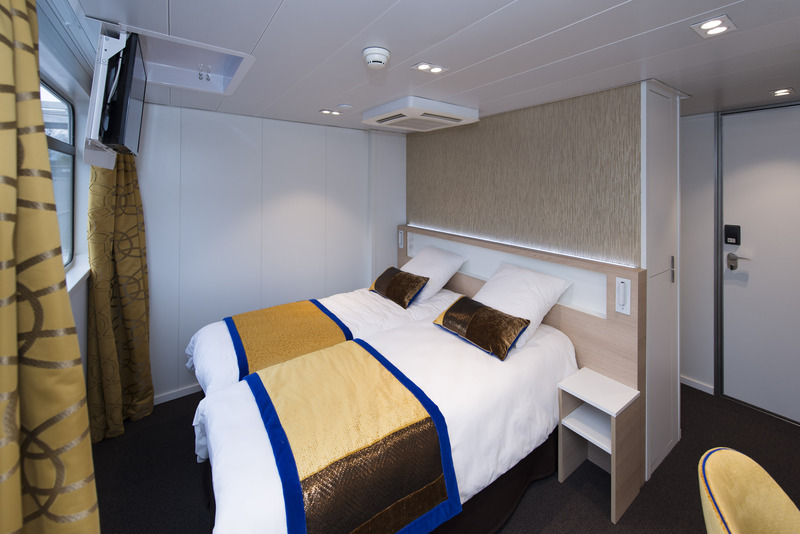 Spacious and comfortable, they have twin beds or a double bed, with a bathroom (shower, WC and washbasin) and towels provided onboard. They are also equipped with satellite television, radio, hairdryer and safe. 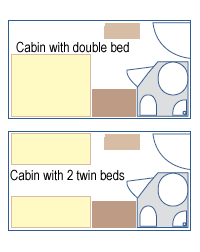 It has 4 triple cabins. Dining: Buffet breakfast, lunch and 3 course dinner. Dress Code: Casual and comfortable during the day. More elegant clothing may be worn in the evening.